The America’s Cup may be over. New Zealand may have lost, headed home and taken their yacht with them. But at least they left behind the Waiheke Island Yacht Club, the epicurean pop-up from respected Kiwi restaurateur Tony Stewart, now (finally) pouring delicious glasses of rare New Zealand wine. Odds are you haven’t been (given its Embarcadero digs), but fortune favors the procrastinator — because the regatta is done, and Napa can no longer restrict the krovvy flow. Stewart’s now offering five- and seven-course paired tastings, a la carte offerings and yes, bottles of the best fermented grapes the microclimates of his archipelago have to offer. 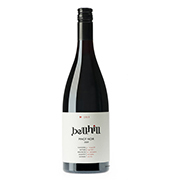 Take Canterbury vineyard Bell Hill’s chocolatey Pinot Noir, which Stewart says was a fortunate get, given bottle scarcity. Goes well with pomegranate glazed duck or anything else you throw at it. Or, if lamb’s on your agenda (and it should be), go with the lightly oaked Man O’ War Valhalla — maybe the only Chardonnay you can ask for by name and feel like a Viking. Whatever your order, get it in quickly. Waiheke turns into a pumpkin at year’s end, and NZ’s a long way away for a second chance.